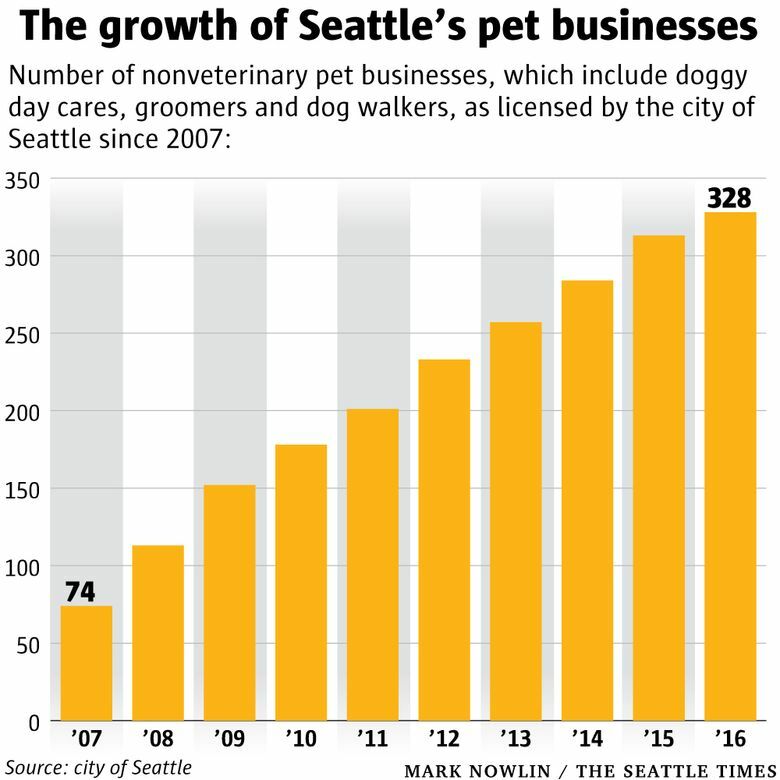 Over the past decade, the number of Seattle businesses catering to our canine friends has more than quadrupled. Little cots, cubbies with names, family photos on the walls and even blueberry-infused facials. The popularity of doggy day cares in Seattle is on the rise. And some of the perks are so nice for our furry friends that one woman on a recent tour of day care CityDog! Club began to weep. “She said the doggy day care was nicer than her kid’s day care. 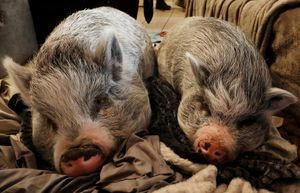 She said, ‘I wish my kid’s day care was this nice,’ ” said Phillip Kasdorf, a co-founder of the luxury pet-sitting center. 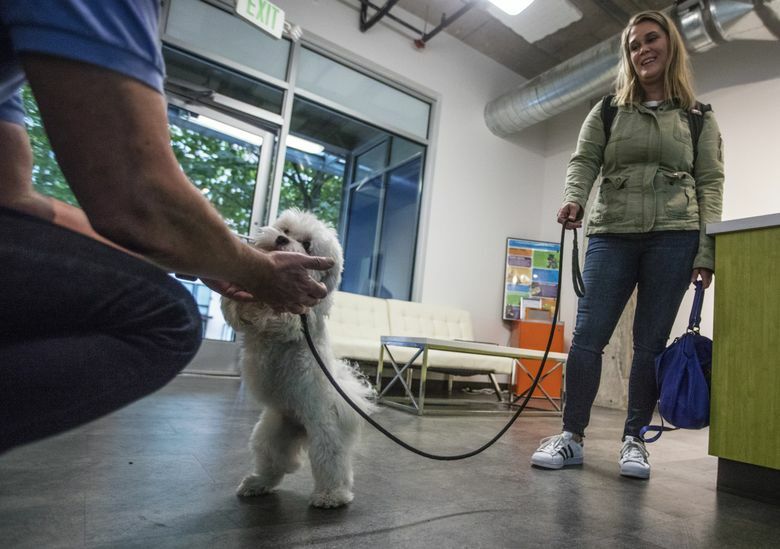 People like her are among those who are turning a fairly new type of business into one of hound-hooked Seattle’s most successful enterprises. 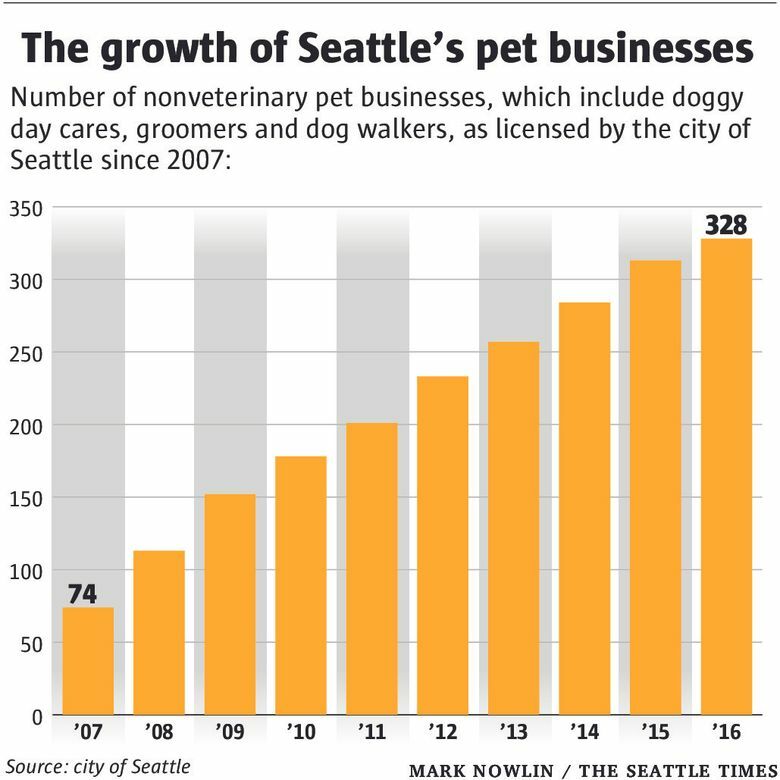 The number of business licenses issued by the city to “non-veterinary pet services” — which include doggy day cares, dog walkers and groomers — has more than quadrupled over the past decade. Last year, there were 328 licenses in Seattle. 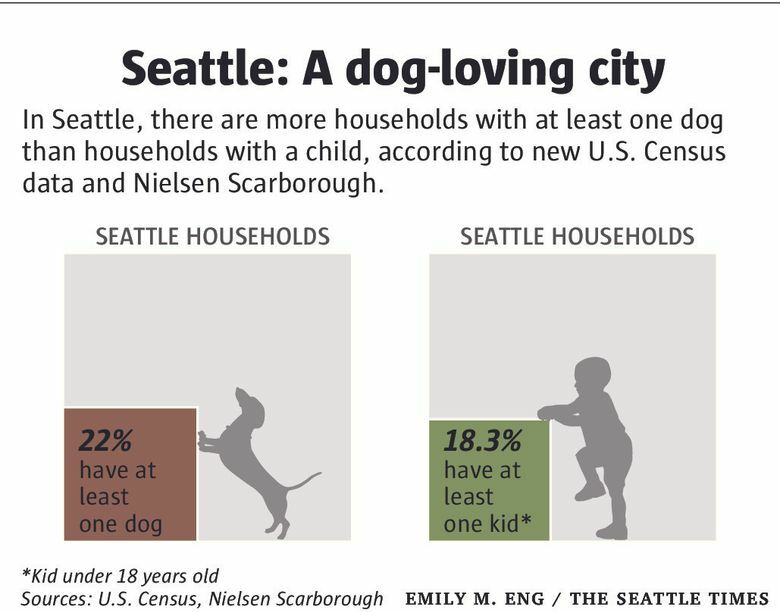 Seattle, a city with more dogs than children, was one of the first regions in the country to really embrace the services. 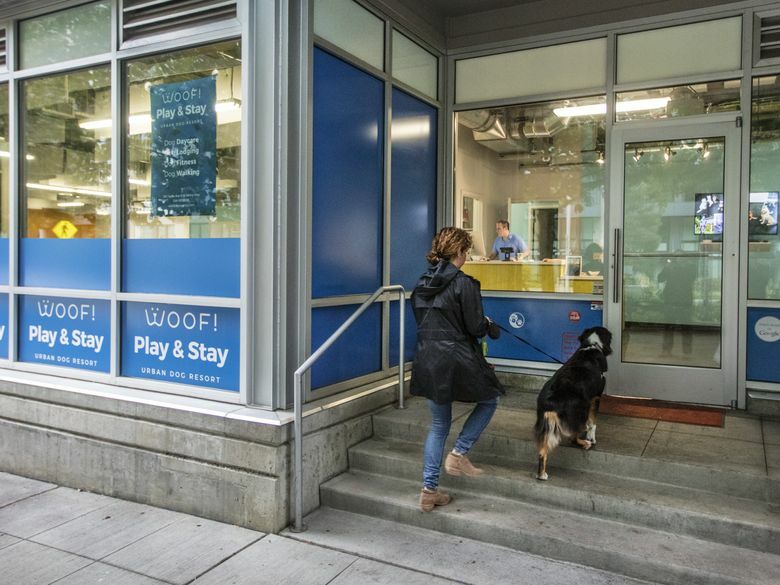 “It used to be a Seattle anomaly,” said Maria French, manager of The Barking Lounge, which opened in 2004 and features two indoor dog parks where denizens are separated by size and temperament. The Barking Lounge was among the first in the area to provide overnight care for dogs with a full-time, 24-hour attendant. Now such service is a standard of care, according to Brad Davis, the owner of Woof! Play & Stay on Taylor Avenue North, where the focus is on fitness and tailored exercise regimes. Overnight guests also have the choice of bedding down in a relatively spacious “luxury suite” or a smaller den. 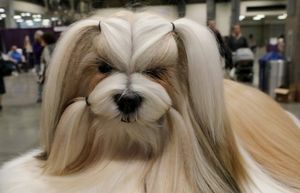 “The person who thinks of their dog as just a dog is not our target customer,” Davis said. He opened on Oct. 1 last year and is already turning a profit. Most days, he said, his establishment is near capacity with 40 to 55 guests. Vivian Konstantakos said her dog, a Leonberger named Takos, pulls on the leash as soon as he realizes he’s close to his friends at Davis’ day care. On average, full-time doggy day care in the city costs between $700 and $750 a month before add-ons, like extra walks, baths and other pampering. Another favored treatment is the Paw Balm, in which caretakers massage lotion into concrete-calloused feet. At CityDog! Club, like most all other day cares, dogs are required to be fully vaccinated and must pass a temperament test that shows they can play well with others. At the downtown location, at Olive Street and Eighth Avenue, passers-by can look in the window and see what looks like a children’s day-care center with rows of little cots and even a fire hydrant. 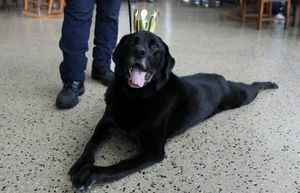 Some obsessed pet owners even log into the webcam, minimize the screen at their work station and keep an eye on their dog all day long, he said. They find it both reassuring and uplifting. The Barking Lounge also has a webcam that is accessible to anyone who wants to see the dogs playing. When French, of The Barking Lounge, leaves her own dog at the center for travel, she’s frequently logged in herself.